Join the Monmouth University New Jersey Women’s Soccer Fall ID Clinic on November 4. It will take place on the Monmouth University campus. It is a 1-day clinic from 9:00 AM to 12:00 PM that includes a campus tour afterward. The program will provide a realistic atmosphere on how it is like to compete and train at the collegiate level. In addition, it focuses on improving every participant’s technical and tactical soccer abilities. This is an initiative of the Monmouth University women’s soccer coaching staff and its current players. Monmouth University, formerly Monmouth College, is a private coeducational university in Monmouth County, New Jersey. It is a member of the Council of Independent Colleges. The university is also part of the National Association of Independent Colleges and Universities. Furthermore, Monmouth University has an accreditation from the New Jersey Commission on Higher Education. It is using a semester-based academic calendar. Monmouth University is a top-notch institution. In fact, it is 28th in Regional Universities North, 2018 edition of Best Colleges rankings. It is 71st in the Best Value Schools rankings. And, 290th in the Business Programs rankings. Currently, the university is accommodating around 4,600 undergraduate students. Monmouth University fields 21 intercollegiate sports teams in NCAA Division I. 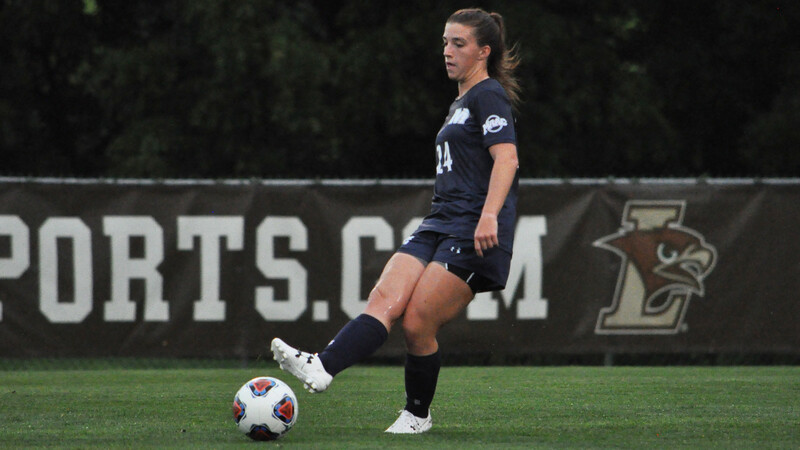 Its women’s soccer team is competing in the Metro Atlantic Athletic Conference. Their official colors are blue and white. Leading the Monmouth Hawks women’s soccer team is head coach Krissy Turner. She is in her 20th season as the team’s head coach. Under her leadership, the Hawks women’s soccer has already 4 Conference Championships and 4 NCAA Regional Appearances. Moreover, Coach Turner is a 7-time Conference Coach of the Year Awardee. Then, the women’s soccer team’s associate head coach is Kylee Flynn. She the former College of New Jersey assistant coach. The volunteer assistant coaches are Becki Tweed and Alex Blackburn. Finally, completing the staff is Dani Maggio, the student manager. Join the Monmouth University New Jersey Women's Soccer Fall ID Clinic. It will provide a collegiate level training environment and competition.